A mountain rescue team bizarrely ended up as a footnote on a daily newspaper piece about muffin tops after a mercy mission earlier in the week. Swaledale Mountain Rescue Team was called out in torrential rain to help look for a missing 14-year-old dog near Low Row, downstream of Gunnerside. 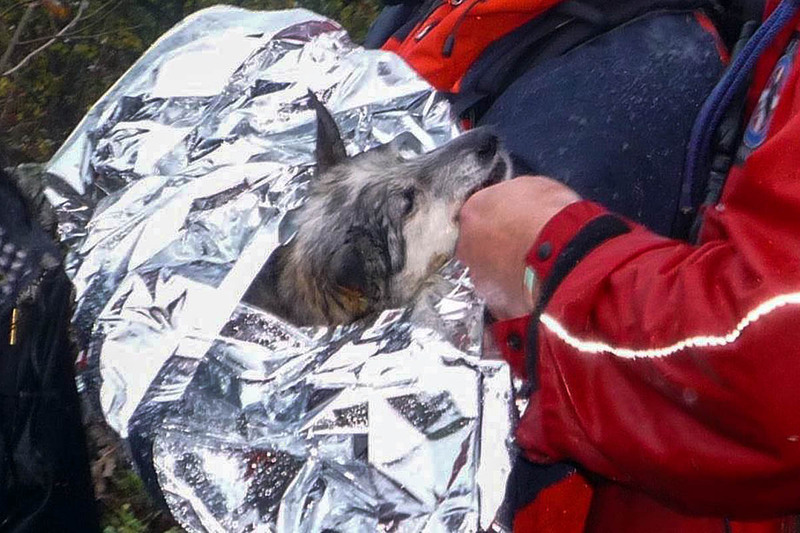 A team spokesperson said: “After a few hours of very wet searching Hilda the dog was located wet and hungry by team members and search dog Ollie. The team revealed today that Hilda’s owner is Daily Mail columnist Liz Jones, who writes on fashion and body image on the world’s biggest news website. Ms Jones, in her piece on Australian Instagram personality Essena O’Neill and women’s right to display their muffin tops, added a postscript detailing how the team volunteers for tracked down the wayward animal. She said: “On Wednesday at 8pm, my ancient Romanian rescue dog, Hilda, vanished from my garden. “On Thursday, a farmer spotted her in his field, on the opposite side of the raging River Swale. On Friday night, having searched for two days and nights, I rang Swaledale Mountain Rescue Team. “Although as a rule they only rescue humans, they put the word out. Half an hour later, team leader Steve called me back: ‘A group of trained volunteers will meet you on the bridge in Low Row at 9am on Saturday.’ He was as good as his word: 10 volunteers, two sniffer dogs and an hour later, Ian, one of the dog-handlers, spotted Hilda near the river bank: head down, plodding, depressed. The team’s Facebook page now boasts a shot of the said Ms O’Neill in some stunning antipodean scenery. As the team points out, there is the hint of a mountain in the background. 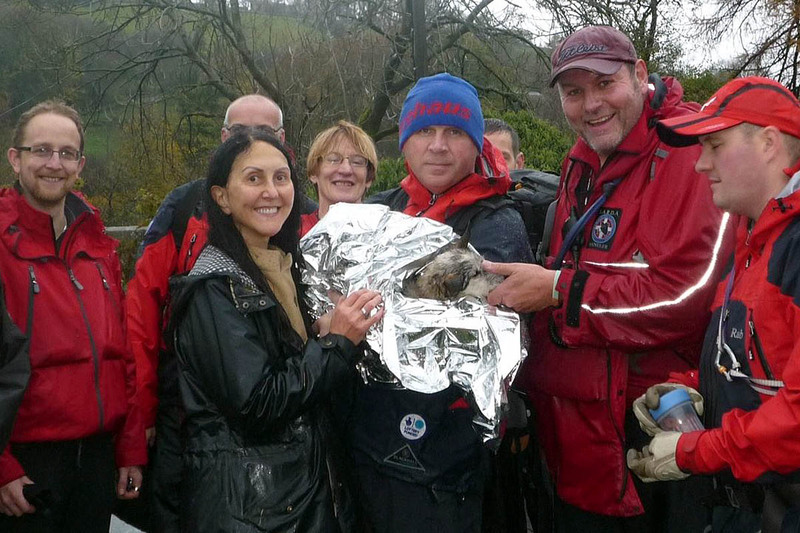 The Swaledale team says it’s probably the first time mountain rescue and muffin tops have appeared in the same story. The team is based at Catterick Garrison and carries out rescues both on the fells of Swaledale, Wensleydale and surrounding areas and in the region’s cave and mines.